« Older: Basil Jones Summer Camp is a go! 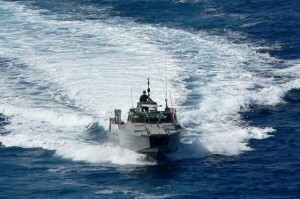 Another navy vessel has ran aground in Belize’s waters. The incident occurred on Friday, June 26th south of Blackadore Caye. 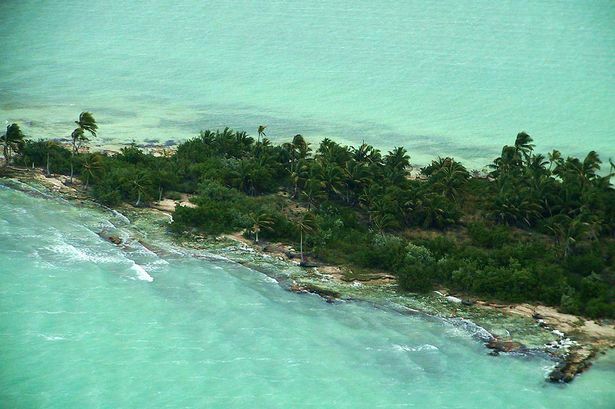 Reports were that a 55 feet Mexican navy vessel, a Polaris-Interceptor, experienced a ‘soft grounding’ (a type grounding that does not lead to adverse effects on the ship) on the mud flats and shoals just south of Blackadore Caye sometime in the early hours of the morning. Belize Coast Guard personnel were quickly deployed to the area and had the boat removed by 4:30PM of that same day. In a press release, the Belize Ministry of Foreign Affairs indicated that the Mexican vessel was within Belizean waters legally, as they had requested special permission from the Government of Belize to transit from a base in the Chetumal Bay, Quintana Roo, Mexico and their southernmost outpost in Xcalak, Mexico. Navy vessels customarily take this route on a scheduled routine basis, but on this transit the vessel experience navigational errors, which resulted in the grounding. After receiving a report of the incident, Coast Guard personnel stationed at the Ambergris Caye southeastern Forward Operating Base responded at around 8AM. The Mexican Navy cooperated with Coast Guard to remove the vessel as quickly and effectively as possible. The Belize Port Authority, the Department of the Environment, and the Fisheries Department then coordinated an assessment on the impact of the grounding to the surrounding environment. Initial assessments reveals that no major damages was made to the sensitive ecosystem in the area. The Ministry of Foreign Affairs has since communicated with Mexican officials to ensure another grounding does not occur. The Belize Ministry of Foreign Affairs and the Mexican Secretariat of External Relations are currently in the process of completing negotiations on a Memorandum of Understanding on Innocent Passage to formalize such Mexican Navy transit arrangements through our maritime spaces in accordance with Contemporary International Law and Practice.